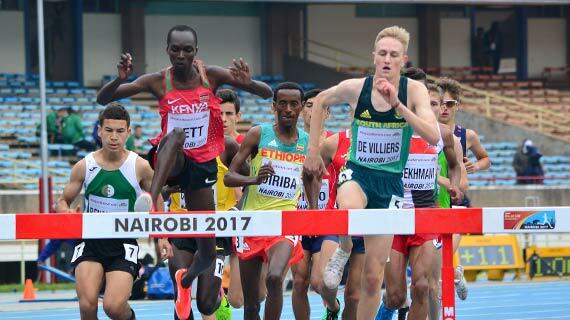 Having successfully hosted the IAAF World Under-18 Championships last July, the IAAF on Friday announced that the council meeting had decided to select Kenya’s Capital City, Nairobi to host the 2020 World Under-20 Championship. The IAAF was impressed with the atmosphere created at the Under-18 Games where record attendances were exhibited especially on the final day of the championship when the 60,000-seater Kasarani Stadium was full to the brim with tens of thousands locked outside. "The U20 Championships showcases the future of our sport so Kenya, with a young and enthusiastic population and such a rich history in athletics, is a perfect fit for us," Coe said. "We hope that awarding these championships will further encourage the development of athletics in Kenya and all over Africa, which is such a vibrant part of our international federation." “It is indeed a great honour to be considered and selected to host the event. On behalf of Kenyan Government, I assure you that we will ensure that we put our best foot forward and put the necessary plans, systems and structures in place to ensure that the event runs smoothly and successfully. We welcome the world to Kenya."